Finally sorting out a lot of stuff we have here! Well sorting might not be the word, moving stuff around. In doing so, I am finding some items for sale for the world. 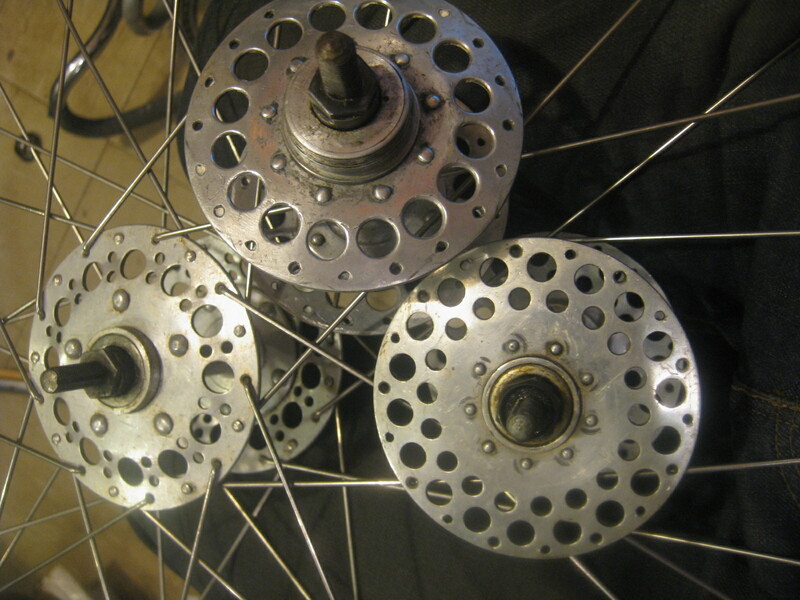 A cool picture with a Weco hub laced to an Ambrosio rim, set in contrast with 2 variations of Prior hubs. A nice NOS set of Prior hubs recently went for a chunk of change on Ebay. 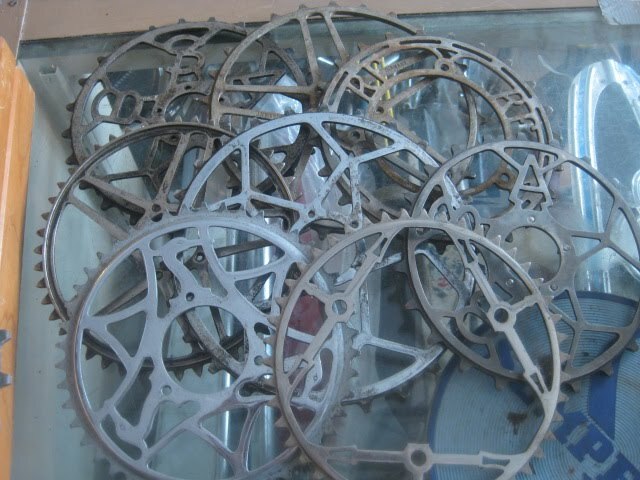 The final picture is of a bunch of steel chainrings for cool old racing bicycles. I want to buy just that TA rack off the peugeot. Would that be possible? 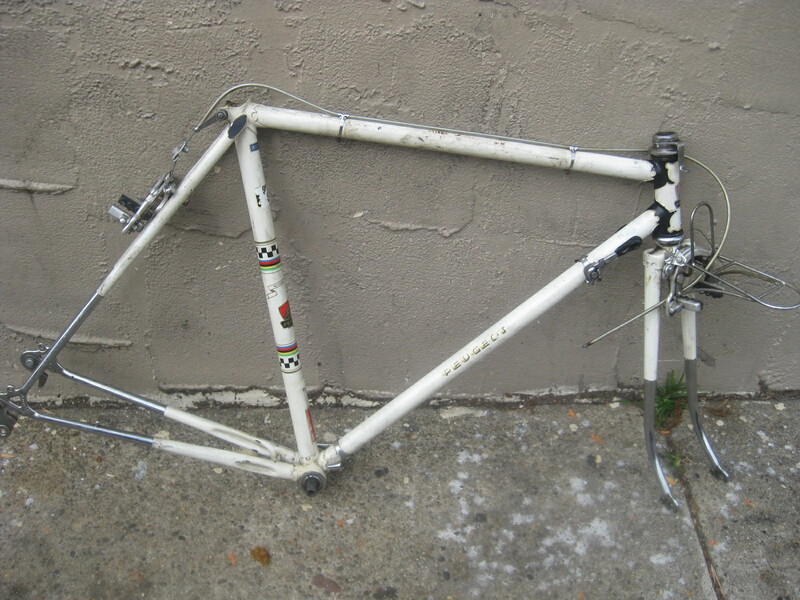 I've been looking for one to finish a project forever. Jeremy, contact me through the bikeville website. 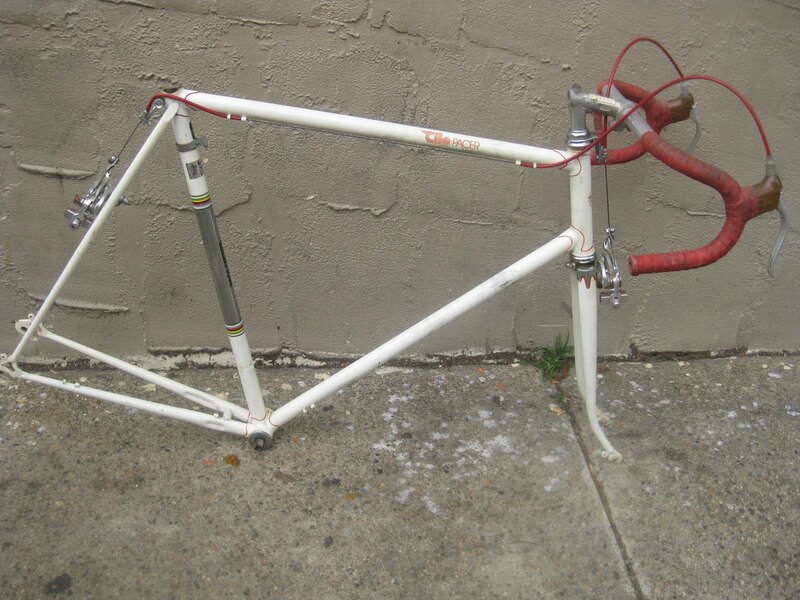 The TA front rack is $30 plus s/h for a new old stock one. I don't want to take the one off the Peugeot, as I have already photographed it with it on.